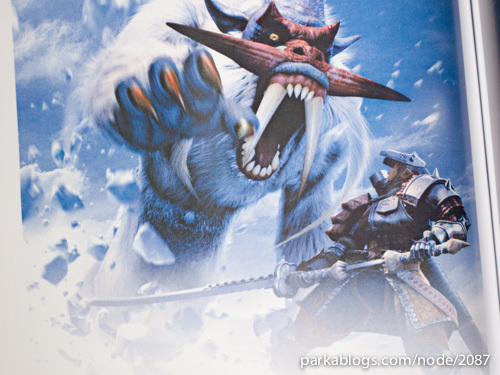 モンスターハンターCGアートワークス, or Monster Hunter CG Artworks, looks like the sequel to モンスターハンターイラストレーションズ (Monster Hunter Illustrations) which was published a year ago. 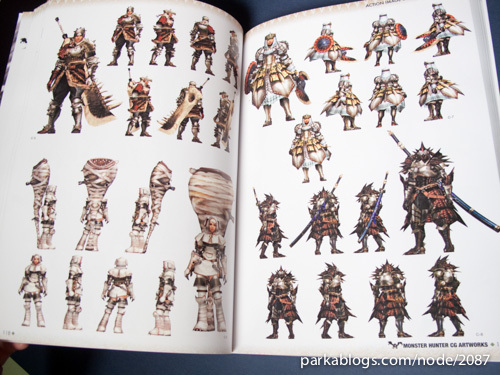 This is a large and thick 312-page Japanese paperback art book. 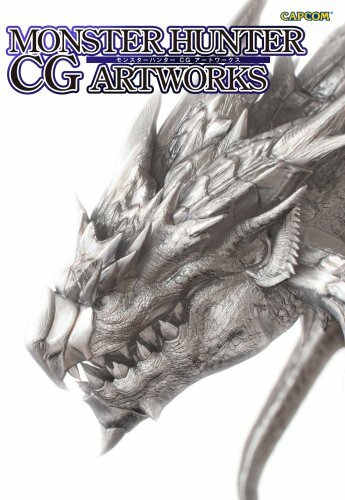 As the title suggest, this book contains exclusively computer generated illustrations. 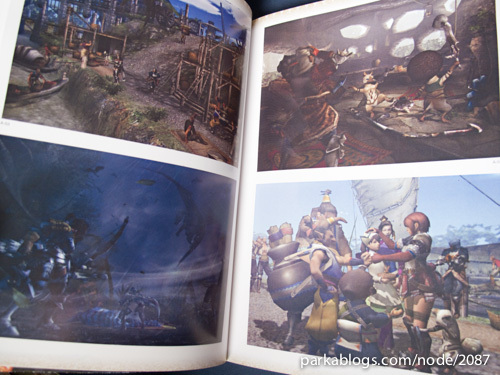 These are screenshots from the cut scenes as well as many characters, monsters and weapons used in the game. 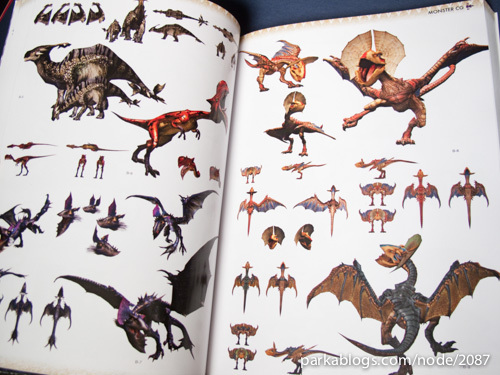 There are tons of dragon designs with most of them display in top, side and front views. 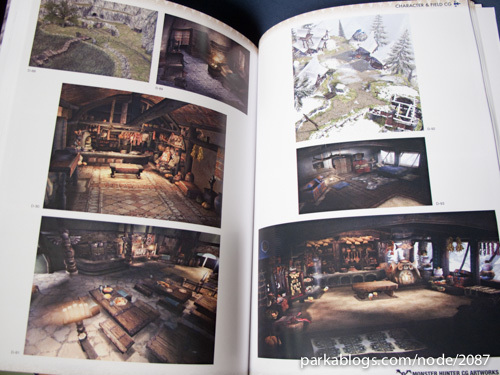 The details are amazing. This is like the zoo of awesomeness. 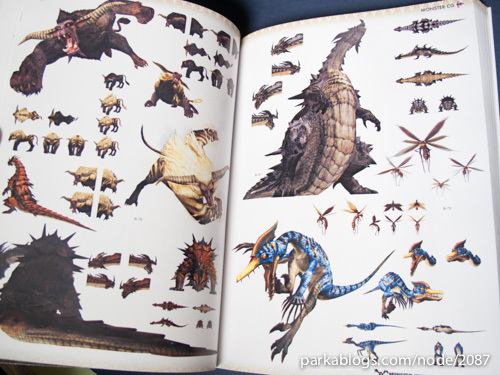 One of the dragons is as huge as a small hill, when seen in the size comparison chart with other dragons. 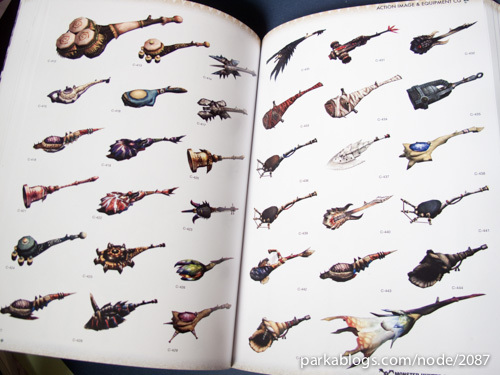 The impressive array of dragon busting weapons are cut out individually for display. The ingenuity of design reflects highly on the creativity of the artists. 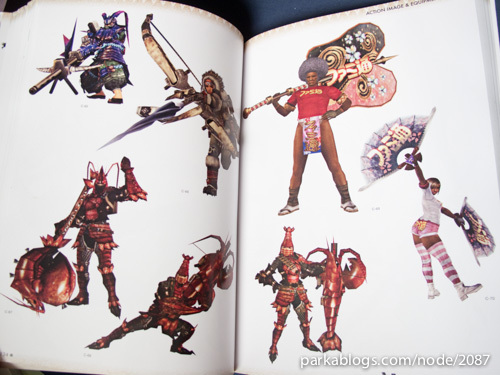 For the characters, they are in different armour and tribal costumes. 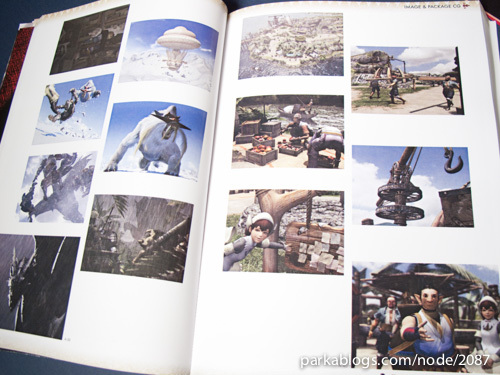 The pages are filled to the brim with images. 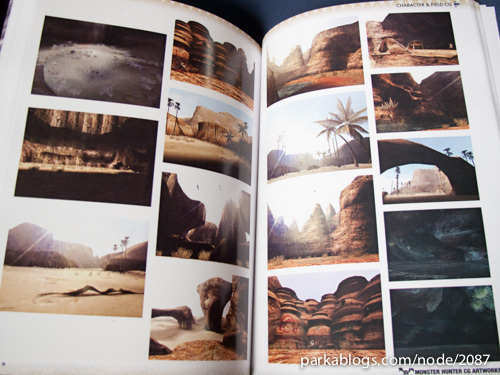 Right at the end is a section on promotional graphics for the game. 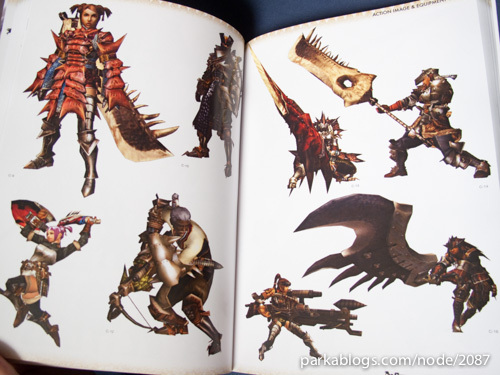 this book is amazing!It makes me drool even if I'm from Indonesia,batam.I'm the the true monster hunter fan!I have played all sorts the games of monster hunter except...monster hunter 3.I am planning to buy that for my wii.